Homey v2.0 — What’s new? Homey v2.0 has been released this week, and we’re excited to share everything that’s new. This is the first in a series of three posts telling the story of Homey v2.0. 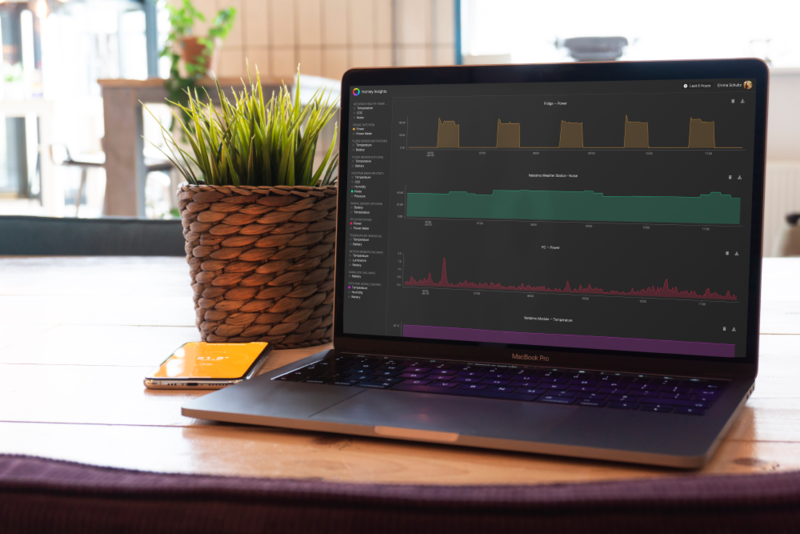 We couldn’t be more excited to finally release the biggest update we’ve ever made! More than a year of designing and developing has been invested in the update, and the result is amazing. 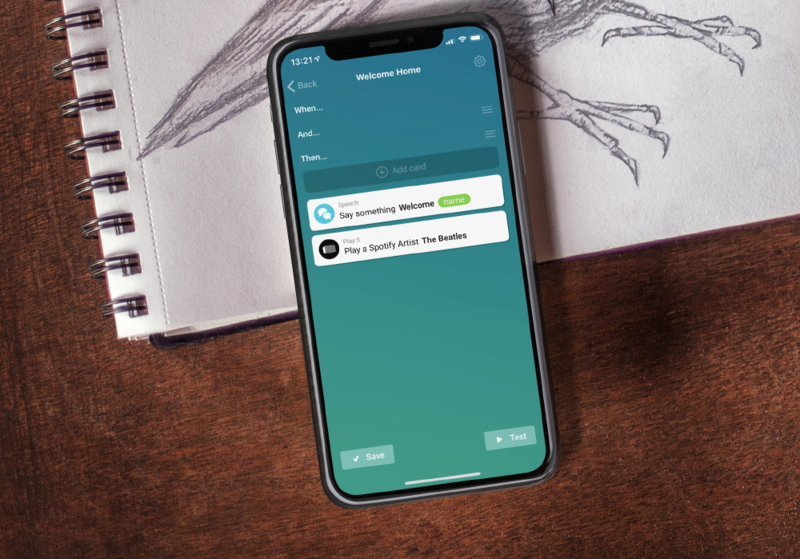 More than a year ago we’ve made the decision to invest in the mobile app, because frankly, we’re living in a mobile-first world. This gave us the unique opportunity to completely re-think how Homey should work with all knowledge that we’ve gained since we’ve shipped the first Kickstarter Homeys. What was clear from the beginning was that every feature should be available on mobile. Desktops are definitely great for work and specific tasks, yet are clumsy when you just want to add a device or update a Flow. We continuously asked ourselves the question what Homey should be. Is it a home automation controller? Is music playback really what we want to do? Do we actually add value? We set out to create the best smart home experience anyone can use. 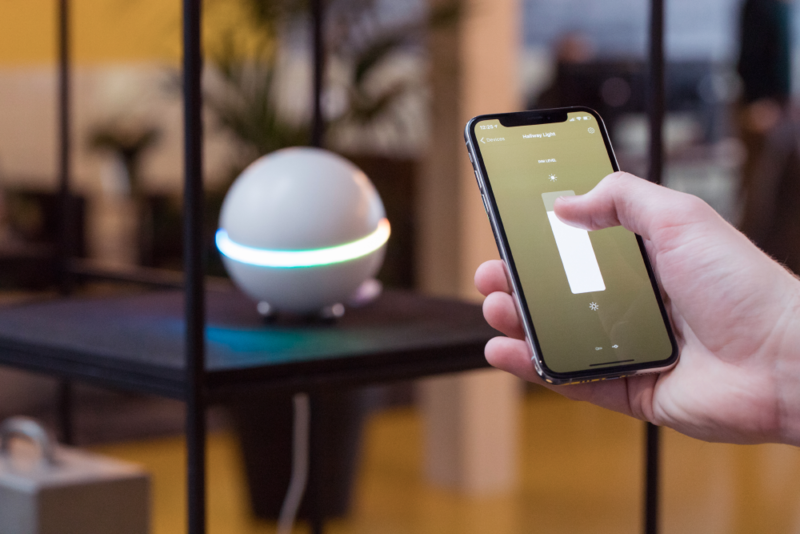 The tinkerers of this world already know how useful and fun a smart home can be, but for most people a smart home still sounds alien. 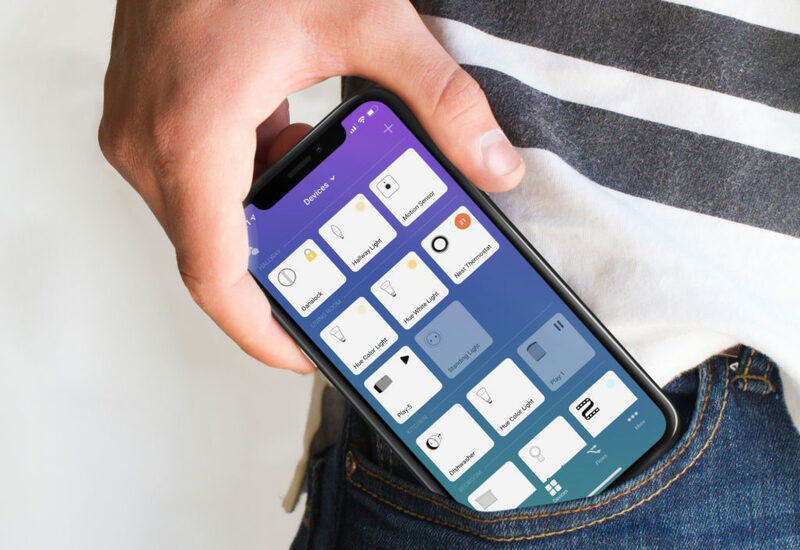 We felt strongly it’s our purpose to make this technology accessible to everyone, and Homey is what allows people to create their own smart home. Homey v2.0 is what we think Homey should be. It’s easy, beautiful, but also balanced. We didn’t remove functionality for the power users — in fact, we’ve added more of it! A great product is all about balance between technology and people, and Homey v2.0 proves that creating a smart home can be easy. So then, what’s new? Let’s find out! 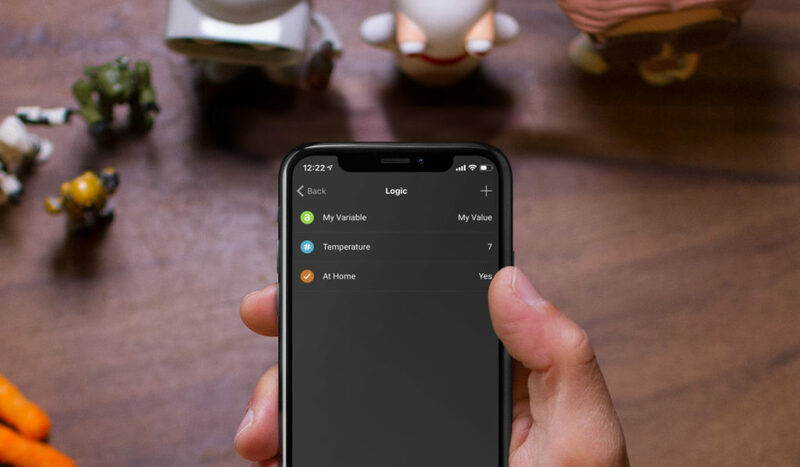 The first thing you’ll see when you open the app is a beautiful homescreen with your family’s Home/Away status, a list of your favorite devices, your favorite Flows that can be started with a tap, and a timeline of things that happened while you were away. Whether you’re home or on the go, Homey is always available on your phone. Forgot to turn off your TV? No problem, a single tap and it’s off. Controlling your devices is a beautiful experience. Not only do your devices look great, even those cheap sockets look like a world-class product in the Homey app. You bet their manufacturers feel jealous. Homey detects when you, or your family members, come home and acts accordingly. Turn on the lights and start playing music when you open the door, and turn everything off when the last person left. It’s so convenient, that you’ll never want to live without anymore. Sharing Homey access to family members is as easy as sharing a picture of your pet. Just tap share and they’re in. We’ve completely redesigned the music experience on Homey by asking ourselves the tough questions. We do not want to be a replacement for Spotify, Sonos and others. 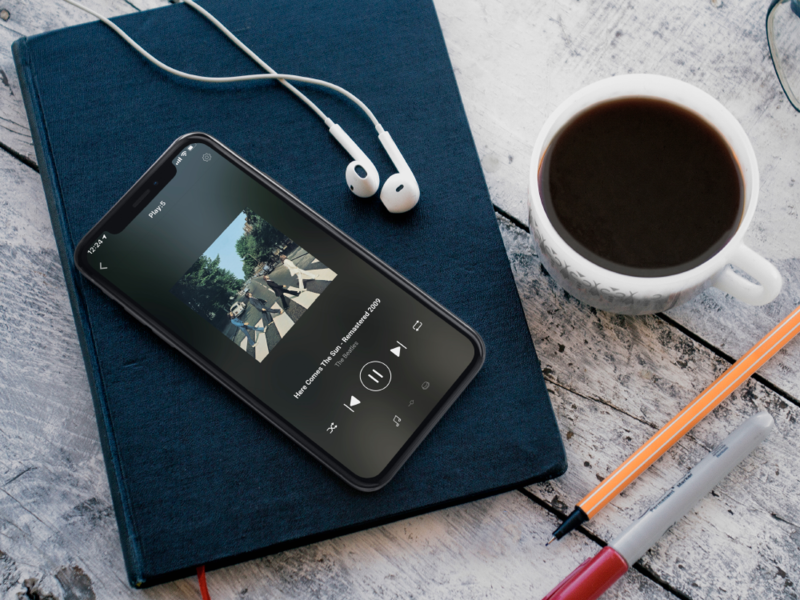 Those companies make a great app with world-class playlist editing capabilities. What we’re good at, however, is automation! So that’s exactly what we did. 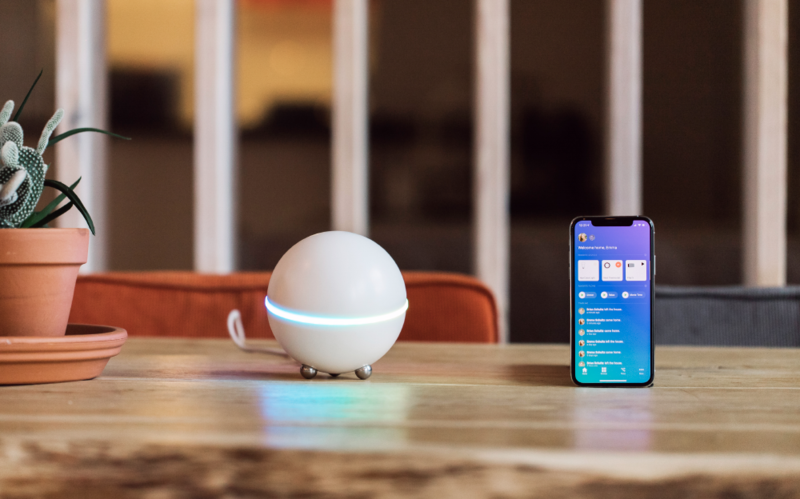 Homey now controls your smart speakers just like you would control any other device. The unique functionality comes from Flow, however. Automatically start that favorite playlist of yours when you wake up, or pause all playback when the TV is turned on. Having a party? Let your guests control the music with a wireless button. Your creativity is the limit. Flows are by far the easiest way to automate your home, and we’re lightyears ahead of any competition trying to do something similar. Remember the Flow editor in the Homey desktop app? We’ve managed to fit it on a small screen, and to be honest, it works even better. No longer do you have to start your PC to test a new idea for a Flow you just had. You simply grab your phone, create a new Flow and test it immediately. Choosing a card is faster than ever and Tags work brilliant on mobile. Your Flows can now also be started from the app with a single tap. It’s also very easy to find which Flow a device or app is being used in. Homey Insights is better than ever. Available on both mobile and desktop on insights.athom.com, you can view your home in completely new ways. 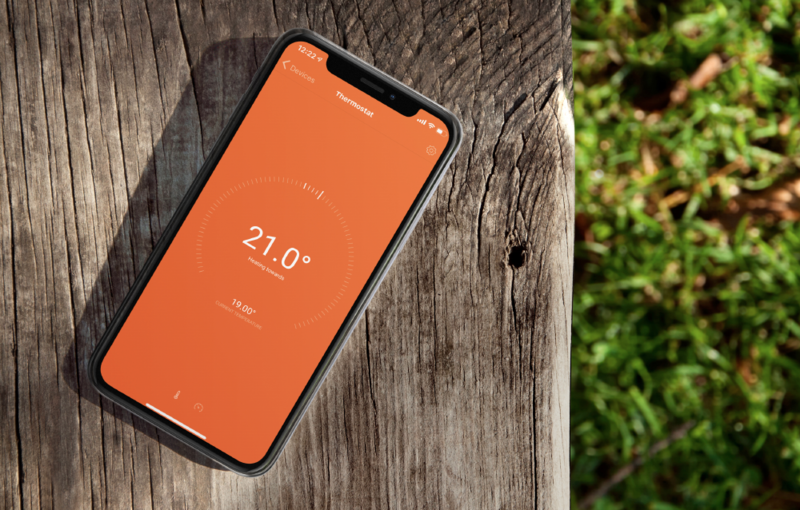 Devices automatically log their measurements such as energy usage, temperature and sensor values. These logs are now averaged over time, which means you’ll never have to delete a log anymore because Homey has run out of space. In two years you’ll still be able to view your home’s energy usage today. Devices now also show a timeline in the app with the most recent actions, such as ‘Turned on 20 minutes ago’. Homey v2.0 is packed with new features, such as Variables, where you can create even more advanced Flows. Homey Insights can be exported and loaded into Excel. Virtual Devices can be added limitlessly. HomeyScript for the geeks. Webhooks and web request Flow cards. Developer tools for the developers. There’s just so much we’ve added and we can’t wait for everyone to start using it. Some features we develop never make it to see the daylight, but some of them can now be released as Experiment. It’s our playground where users can test features before they’re released. We give no support on them, but that doesn’t mean that they’re not incredibly useful! This was a summary of all that’s new. In the coming days we will dive deeper into Homey v2.0 to really take you on a journey and share our thoughts on everything that’s changed. In the meantime, we hope you’ll enjoy the largest update ever. It’s finally here!